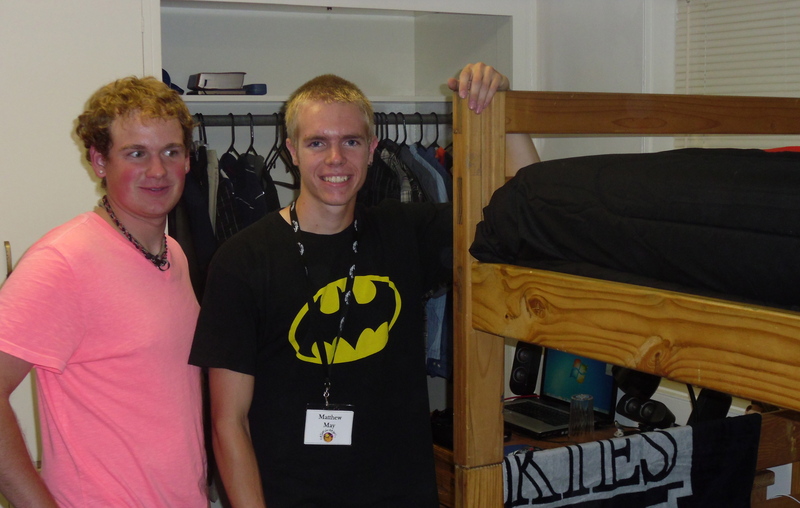 Last Wednesday David began an exciting adventure with his roommate, Matt May. They left Colorado and drove out to San Diego. Dawn and I were able to be there to launch David on his college adventure at San Diego Christian College. Both Dawn and I were very impressed by the students and faculty that we met. They were very positive, and it was a real upbeat atmosphere. Even though on the one hand, it’s hard to see our son leave our home, we couldn’t be happier with the new environment that he is going to. 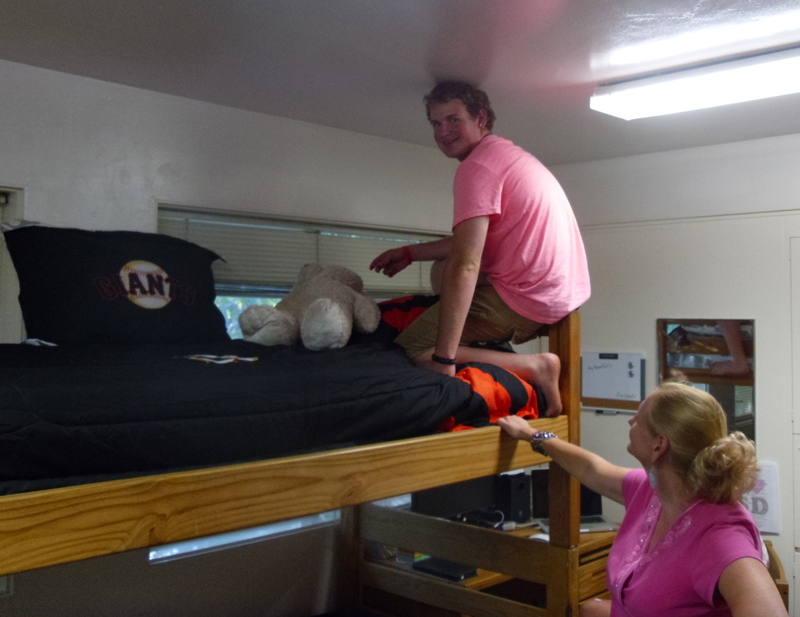 He has a great roommate, in his friend from Colorado, Matt May. The only problem is Matt has a Colorado Rockies bed set, and David has a San Francisco Giants bed set. For the non-initiated baseball fan – the Rockies and the Giants are division rivals! Could be trouble. We had a special treat as we released David on this exciting new adventure. Our friends from Mexico City, Mario and Silvia Silva along with their girls were able to join us. It was fun to have them visit the school with us as David got settled in. While David is in college he will be doing an internship with the Harbor Mid- City church. The same church that Dawn and I are partnering with in ministry. We are thrilled that he has this opportunity, and it will allow us to minister together once Dawn and I are able to move out to the San Diego-Tijuana border. We are glad and thank the Lord for the many great opportunities that he is opening up for David. Prayer Alert – Trip to SD-TJ!